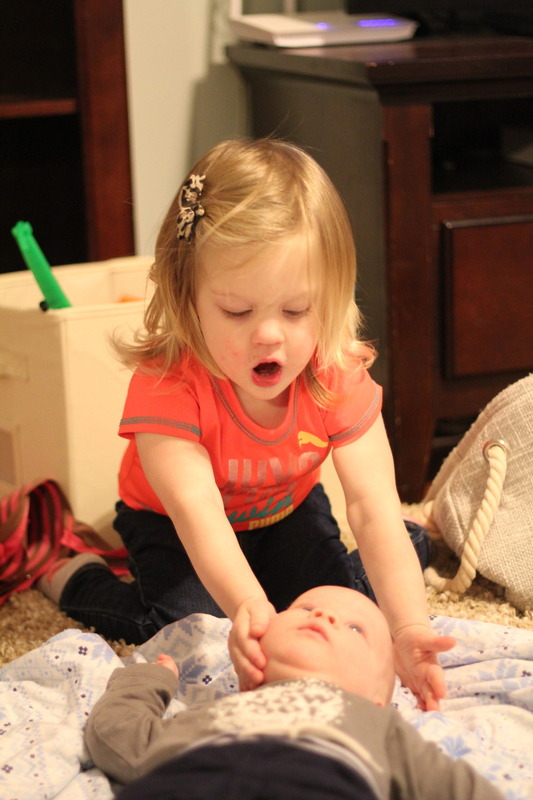 Adalyn can't resist Hudson. If he is on the floor she is by his side. She will sing to him, coo with him, tell him stories, and keep him happy. 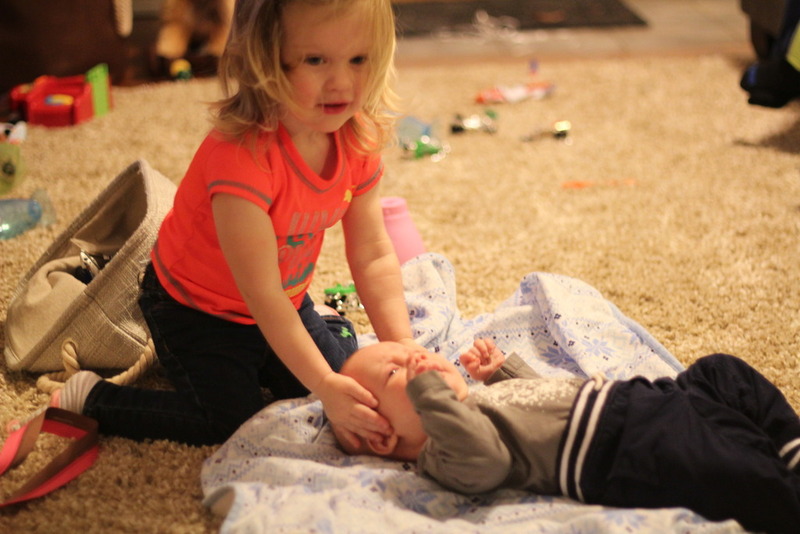 She is so sweet with Hudson, it is adorable.